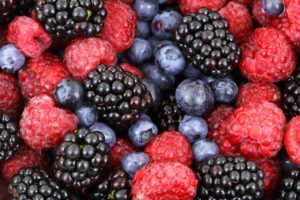 Growing Assistant - Soft Fruit - Redfox Executive Selection Ltd.
Our client is a family business and is now a leading UK grower of strawberries, raspberries, blackberries and blueberries; the major customers being major Retailers. They aim to grow the best quality soft fruit available in the UK on their farms and glasshouses. They look to appoint the right people into their business and to allows them to grow as individuals. During the harvest season our client employs over 2,000 workers spread across seven production sites; 4 traditional farms and 3 glasshouse sites. The role would suit someone who has already experience of growing (ideally soft fruit) . You will assist the Farm Manager in managing the implementation of all growing aspects – husbandry, irrigation, climate, P&D together with staffing and budget control. You will need to have previous experience of growing (soft fruit) and have excellent people management skills. An eye for detail is also required together with being able to prioritise and problem solve effectively.